Springtime has got a whole lot of soul going on. At least, it may thanks to these two cool duets about to hit mainstream radio. One includes an artist who has already had a number-one song on the radio; the other features two relative newcomers to our shores, though it’s already hit the #1 spot in the United Kingdom. Does the format have enough room for these classy collaborations to hit the top of the chart? Let’s hope they dig these smooth grooves. It’s been nearly seven years since Cee Lo Green first made the transition from urban radio to the mainstream airwaves as one half of the duo Gnarles Barkley. Their one big hit in the U.S., “Crazy”, became a huge success. Five years after that, Green once again broke out with the viral hit, “Forget You”, which eventually went to #1 on CHR radio in April 2011 after an abbreviated top-40 run the prior fall. If you’re expecting this song to sound anything like those singles, that’s not happening. 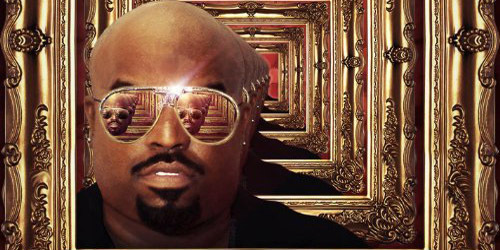 “Only” leads off Green’s forthcoming fifth studio album, Cee Lo Green… Is Everybody’s Brother, due out in the summer. You may remember that Green put out a holiday-themed disc last year, which did moderately well, thanks to some help from his judging role on NBC’s The Voice. Green has left the show for this season to pursue a residency at Planet Hollywood in Las Vegas. The show’s entitled Cee Lo Green Is Loberace, a play on famous pianist’s Liberace’s name. This single, which he will likely be performing in his act, features a newcomer, Lauriana Mae, who was featured four years ago on the MTV reality series, P. Diddy’s Starmaker. She came in fourth place. She’s been recording since, putting out an EP called Love Mae a few months ago through Atlantic Records. She was also featured on a track by B.o.B. on his 2012 release, Strange Clouds. The Green and Mae collaboration is a sweet little number that picks up sonically where he left off from his featured appearance on the Vicci Martinez single, “Come Along”, very much old school-influenced. However, this song skews more towards the Urban crowd than it does a mainstream audience. Despite that, it has a charming lyric about the symptoms of love and how each perspective completes the other one. They sing, “When everybody says, time will clean up this mess / But only you / Only you can make it better put me back together.” It isn’t the most conventional love song, but it gets the job done. It probably would’ve done better around Valentine’s Day, but it’s off to a decent start, picking up about a dozen stations at CHR radio last week. We’ll see how far it goes. It’s not an instant record, so it may take time to get this one fully started. Climbing buildings and the charts. Finally! It’s been a long time coming for this producer and singer based out on London. “Beautiful” hit the top spot in the United Kingdom last November and also went top ten in Australia, New Zealand and Poland. It appeared on his album Electronic Earth, which has yet to see a release in the U.S., but look out for it to potentially come later this year. This single wouldn’t have made it to the States had it not been for the sudden rise of Emeli Sandé here recently, over a year after she first began regularly charting overseas. Her first single, “Next To Me”, is steadily increasing in airplay on nearly half a dozen radio formats after a failed attempt to promote the song last year. 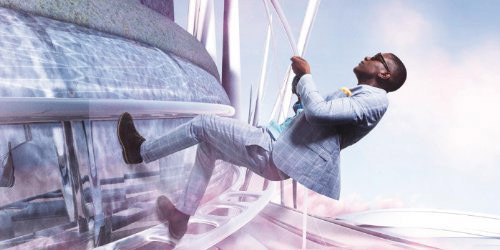 Due to the popularity of it, RCA Records, the U.S. label that Labrinth is signed to, is releasing his collaboration with Sandé to mainstream radio in two weeks. 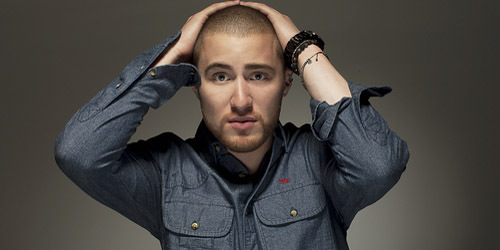 You probably don’t remember that the label was going to promote his 2011 single, “Earthquake”, featuring Tinie Tempah, to mainstream radio early last year. The rapper was on the charts with a few singles in 2011, so I suppose it was to jump on his bandwagon. It was a dubstep driven effort that was ultimately pulled for reasons unknown, but most likely because Tempah’s follow-ups couldn’t match the success of his sole top ten hit with Eric Turner, “Written In The Stars”. So, second chance it is for the artist originally born Timothy McKenzie. “Beautiful” is a soft ballad that slowly picks up in intensity thanks to a powerful vocal from both singers, who blend perfectly into the arrangement, as well a strong use of strings throughout the track. The two characters come from different backgrounds, which they express in their own verses. The male knows the female is “out of my league / But that won’t scare me way out,” while the female can see beyond his put-on façade: “Behind your Broadway show / I heard a voice say please don’t hurt me.” However, they both attempt to scale a “wall so high” of the fortresses they’ve built around one another, and if they fall, they’ll only be falling in love. It’s a really pretty song, but with an awkward-sounding title and the potential to get cancelled out with Sandé’s solo single, it may be a bit of a risk. I’m thinking that it’s one worth taking. Are you a fan of either song? Could we see them on top of the Hot 100 this summer? Let me know in the comments or on Twitter: @AdamFSoybel.